Chess taught me a lot in my early school years, it helped me build the company I have today in more ways than one. I would even go so far to say that it came to my personal rescue at least twice, once life saving, but that’s another story. Chess has also been lucky to one of my team. I met Lewis by chance, we had to play each other in a Northumberland Championship game, so he came to my offices and we played our match. After the game I got chatting to him and realised that he had huge potential, on top of being a decent chess player. Throughout the game we talked about him being the volunteer webmaster for the chess league website. He was also currently in a job, with a pretty poor apprenticeship scheme, his talents were going to waste. I suggested that he should contact me when his apprenticeship had finished, as I could find him a role in our company, if he was interested. The rest is history, he joined us and completed an IT apprenticeship that was more fitting to his interests. He then went on to complete a two year Foundation Degree in Computing at Sunderland University. Achieving the highest grade in his class and leaving with a distinction. He is currently looking to buy his own house before embarking on a top up year in the future to make his foundation a full degree. Lewis is the first to admit that he wasn’t getting the best out of his previous apprenticeship. He also acknowledges the role chess has played in giving him an opportunity to further his career. I wanted to share this story to encourage other young people to take up this wonderful game. Oh and by the way, Lewis lost the game that got him the job. He has won every county championship game we’ve played since but he swears he didn’t do it on purpose. If you are interested in chess, there is a drop-in Chess Club at The Word, Central Library in South Shields. It takes place every Saturday afternoon between 2pm-4pm. The Word, Central Library is just opposite South Shields Ferry Landing or a short walk from South Shields Metro. Myself and other members of South Shields chess club endeavour to teach and play chess against all comers and levels. 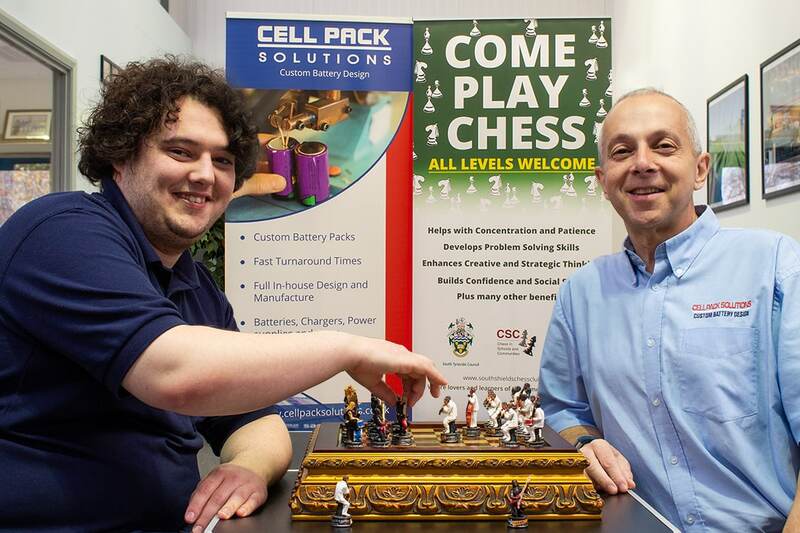 Make sure you drop in and enjoy the great game of chess. You’ll receive a warm welcome and you never know, you might be the next Lewis and join the growing number of people where chess has changed their life. “Chess, like love, like music, has the power to make men happy.” Siegbert Tarrasch. Siegbert Tarrasch was one of the strongest chess players and most influential chess teachers of the late 19th and early 20th century. He scored heavily against the aging World Champion Wilhelm Steinitz in tournaments, (+3−0=1), but refused an opportunity to challenge Steinitz for the world title in 1892 because of the demands of his medical practice. There’s a lot of truth in his quotation.